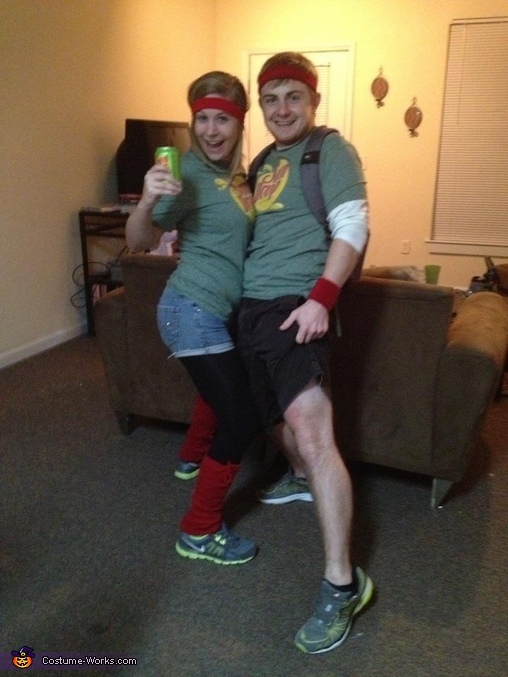 My fiancé had the idea that we should dress up as the Sundrop guy and girl from the Sundrop commercials. We bought the shirts. We got the leg warmers and head band from a junk store. We dropped it like it was hot all night!